There is an increasing debate on China surpassing the US as a world economic power. These claims are based China’s leap from poverty to a world power economy courtesy of successful market reforms that were introduced in 1978. Whether these claims hold water or not, the reality is that China has made significant improvements on her economy but the US stills retains her position as the world’s super power. This paper compares the economy of the US and China laying more emphasis on their micro-economic performance as well as the role that the two governments have played in steering them to the economic heights they have reached. 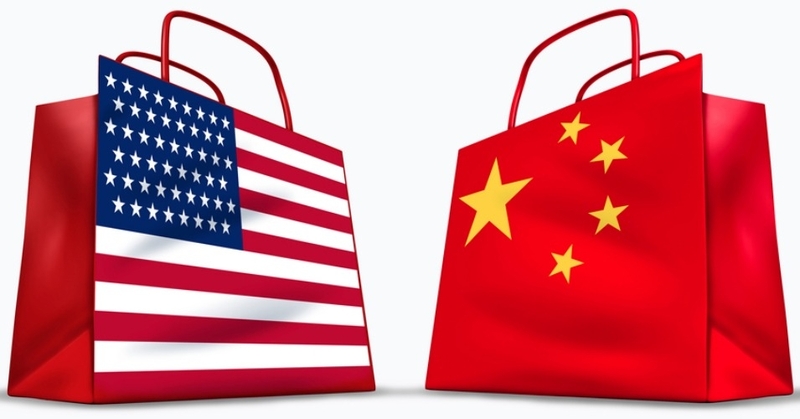 Another comparison of the USA and Chinese that may lead to conclusions that indeed the former are in for a surprise is the Purchasing Power Parities of the two countries. The CIA approximates the Chinese GDP as of 2010 to have stood at $10 trillion a mere $5trillion behind the US a gap that may be filled in the next five years if the US economy growth stagnates (CIA 20). Critics however brush these claims aside alluding to the fact big economies like those of the US and China are not greatly affected by differences in the purchasing power of each country. In terms of labor, the US has an upper hand over China. This can be exemplified by the comparison of GDP to workers. In the US, it stands at 11: 1 implying that an average American is 11 times more productive. In China, the ratio is a bit lower. This is attributed to China’s one child policy a condition that leads to a large percentage of the population being old and hence less productive. China will, in due course transform from a society of young workers to that of aged labor force with comparison to the America’s. This leads to greater productivity and prosperity among the average Americas than their counterparts in China. In terms of capital, the US and the Peoples Republic of China are poor performers. Their return on both private and public sector is falling because many financial resources are being applied to commercially wasteful projects. The real interest rates are also low with US registering below 2 percent in the year 2010 while that of China was surprisingly on a negative scale. This is attributed to a set of poor economic policies by the Chinese and American government. As a result, the Index of Economic Freedom predicts that whoever of the two countries that will improve in public finance will be at upper hand than the other (Sachs 16). Comparing the export and imports of the two countries, China seems to be doing well in terms of exports. Going by data collected by Global Insight, the Chinese exports in terms of goods and services have been doing well and are bound to bypass that of the US by 2015. For instance in 2009, the Peoples Republic of China got $2,009 billions from her exports representing a 102.9% of that of the US. Comparing this to three years ago when Chinese exports were worthy $ 1055 billions while that of the US was $1464 billions in the same year, this implies that the Chinese economy is slowly catching up with the world’s super power (US-China ESRC 85-87). According to the World Fact Book (2011), the US has the greatest and most technologically powerful economy whose per capita GDP is $47,400. It has a market-oriented micro-economy that is very influential. Most of the decisions are made by private individuals and business firms. China on the other hand has very functional state-owned enterprises. As afore-mentioned, based on Purchasing power Parities, China was the second largest world economy behind the US in 2010 but her GDP per capita standing at an estimate of $7400 was still behind that of the US (Hu & Khan 116). The above figures demonstrate China’s commitment to top the list of world economic powers. What factors have then led to the rise of Chinese economy in the recent past? Economists have attributed China’s growth to a number of reasons. For one, her rapid growth is closely linked to a large accumulation of capital and great improvements in productivity. The two factors went side by side with the latter increasing being believed to have generated fund for new investment. China also got an upper hand due to her large collection of domestic savings to anchor her finance investment3 when she began to reform her economy. In fact, in 1979, China had a domestic savings pool of 32% comparing to the GDP. This has steadily grown to 51.1% by the year 2006 becoming one among the highest saving rates in the world. In comparison, that of the US stood at 10.2% showing a great margin. Another reason that has led to China growing so tremendously is her growth in Foreign Direct Investment. This has been because of her reforms in trade and investment as well as incentives. From 1990 to 1995, China’s FDI grew from $3.5 billions to $37.5 billions representing more than 10-fold. In the following decade, her annual FDI grew more than double to hit the $72.4 billion mark while her accumulative level of FDI was $633billions. Though the above growth may be small in comparison to her domestic saving, this capital is efficiently used to than the latter that is usually used to develop state-owned enterprises. Much of the Chinese FDI goes into goods that are export oriented like consumer electronics. Therefore, the high level of Chinese exports can be tied to her dramatic rise in Foreign Invested Enterprises. For instance in 2005, 58.3% of Chinese imports were derived from FIE’s as well as 58.7% of her exports in the same year. This implies that the Chinese economy growth has been characterized by interdepend3ence in sectors that has led to a holistic soaring to great heights. This has not come without various efforts especially from the government. Compared to the US, China makes economic policies easily due to her central, communist structure. Such a framework makes it easy to dictate the country’s direction when an economic crisis strikes without necessarily undergoing a back-and –forth debate as witnessed inn the USA. For instance, in the wake of the financial crisis that hit the US in 2008, the action taken was slow. It was characterized by heated debates that brought to the limelight the uncertainty of the government and the financial institutions hence scaring would-be investors. Although China may have succeeded in implementing blanket economic policies, critics argue that search moves may result to scenes witnessed in communist and dictatorial governments such as restrictions of press freedom, and religion, and political beliefs among other basic human rights. Indeed such policies make China seem liking she is bending too low to fit in the world economic powers. Despite the above criticism, Chinese government has also ensured implementation of its economic is done cautiously (Ministry of Commerce, Beijing 12-17). This has been ensured through slow and careful steps to avert any looming shocks that are linked to spontaneous changes in the economic system. For instance, an abrupt mass introduction of foreign funds or a relaxation of her economic policies would have meant disaster. This means that China’s climb in the economic ladder is not an overnight affair as many may think. Indeed long before the 1978 reforms, China had already started 5-year plans characteristic of the Soviet-Style development strategies. Her growth can thus be attributed to the role played by the Communist Party to provide a conducive environment of progress, stability and a smooth change to the new heights she is soaring. Since the 1978 economic reforms, China’s role in the economy system has been limited to the aerospace industry with industrial out put from state owned enterprises declining while those from private sector increasing. On the other hand, the US government policy toward the economy has been described by many economists as ‘leave it alone’ (U.S.-China Economic and Security Review Commission 34). America attributes her economic prowess due to her free enterprise policy. She adopts a policy laid down by legend economists like Adam Smith who postulated that for an economy to do well, the markets should be free and competitive. This trend however, is slowly experiencing some form of regulation from the federal government. For instance, industries facing strong competition from abroad have been known to seek appeal from the government for intervention through trade policies. This has led to a dilemma of whether the government should be fully entrenched in the economy or not.